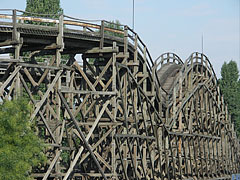 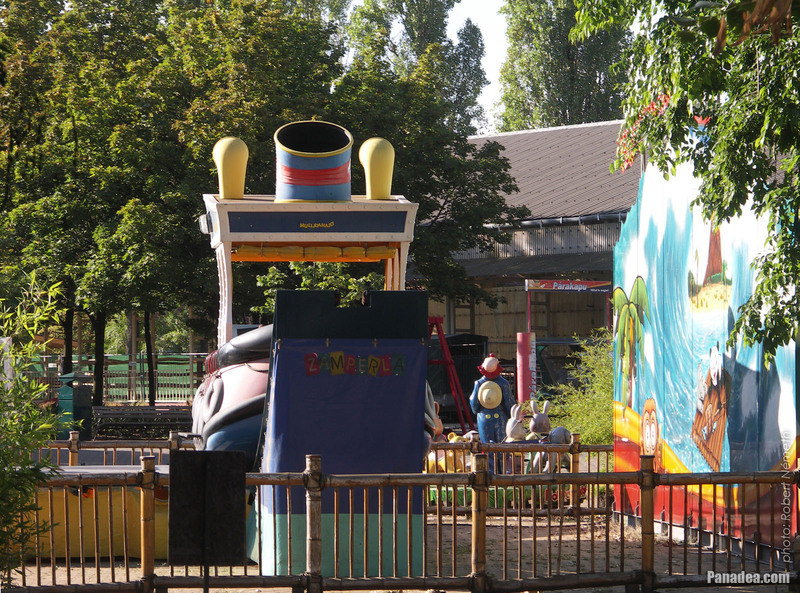 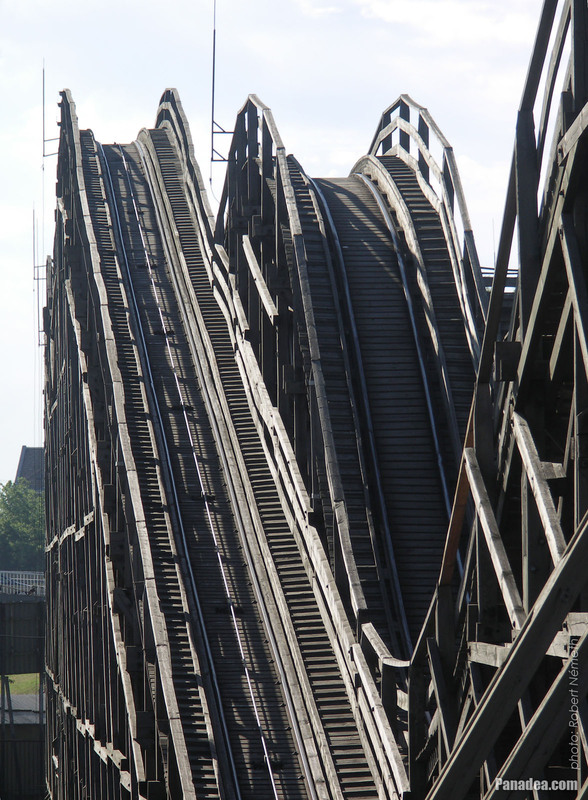 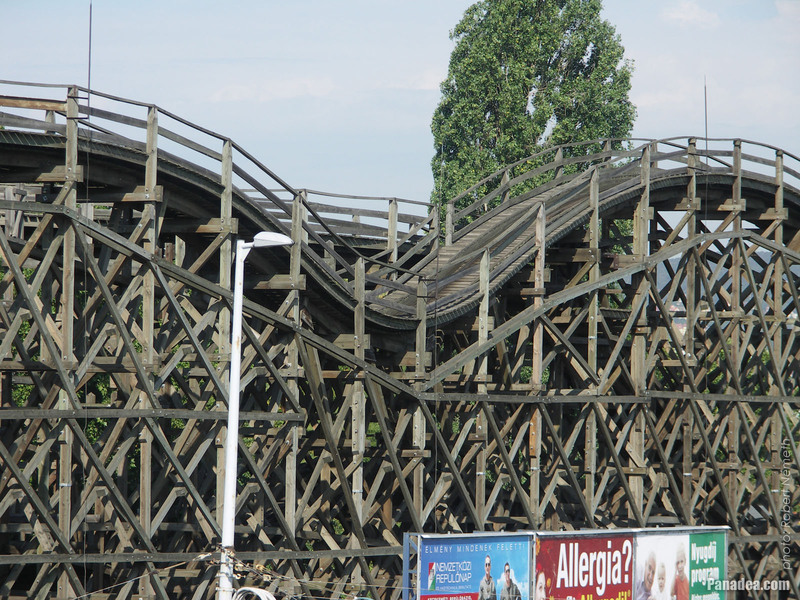 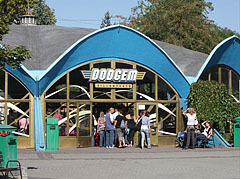 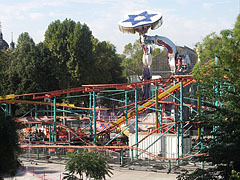 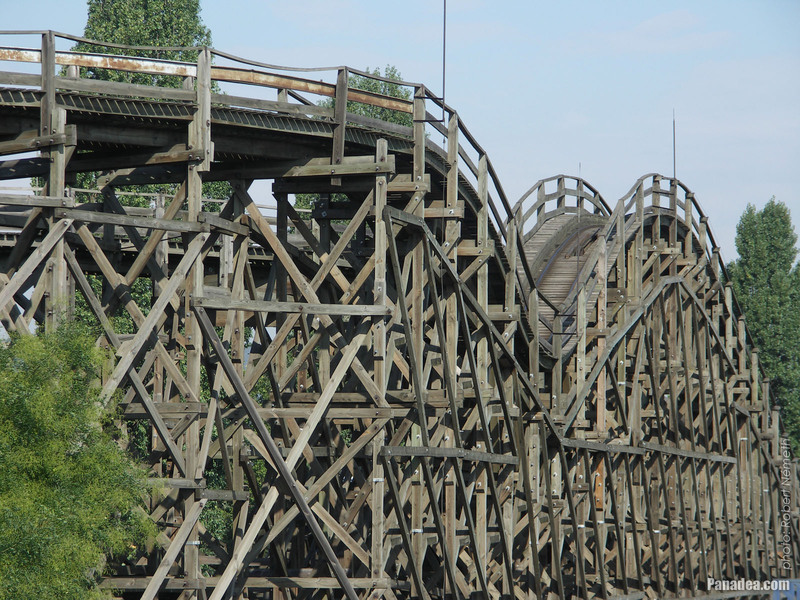 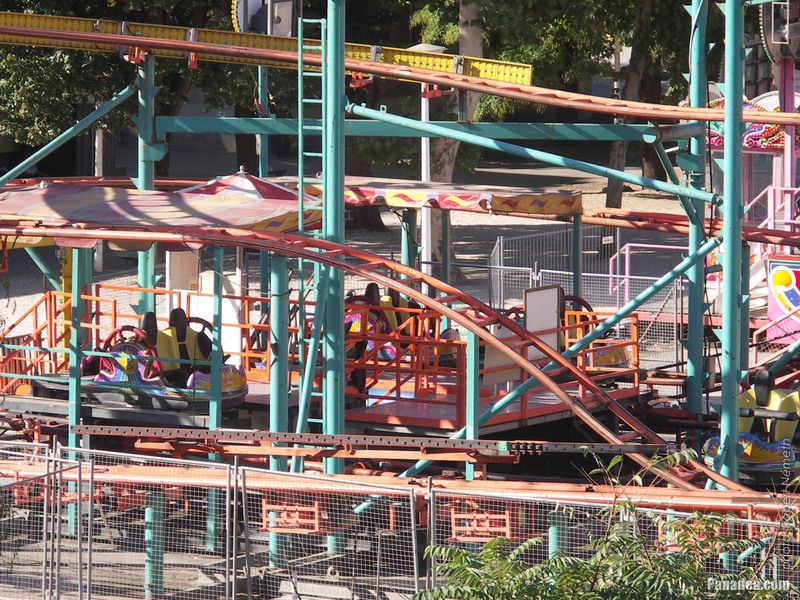 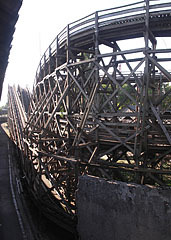 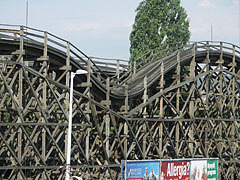 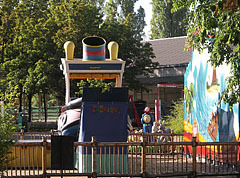 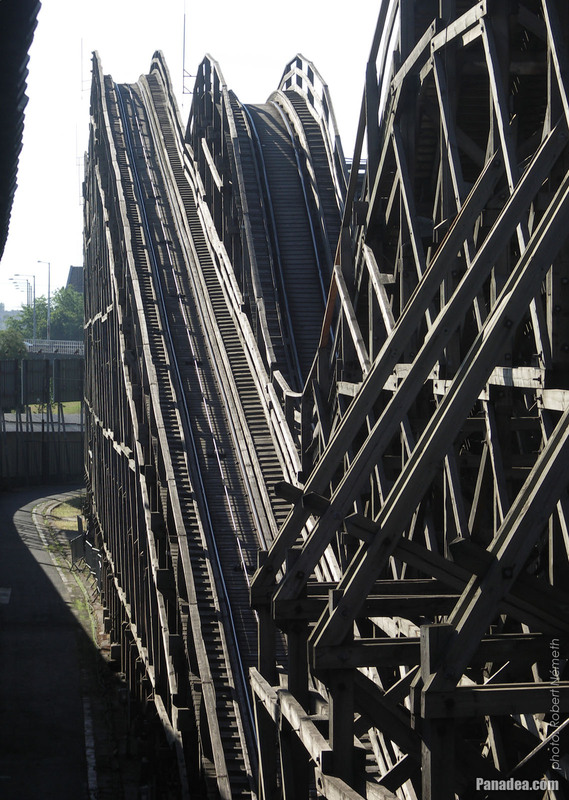 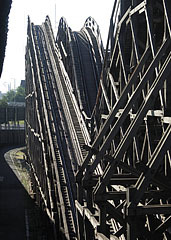 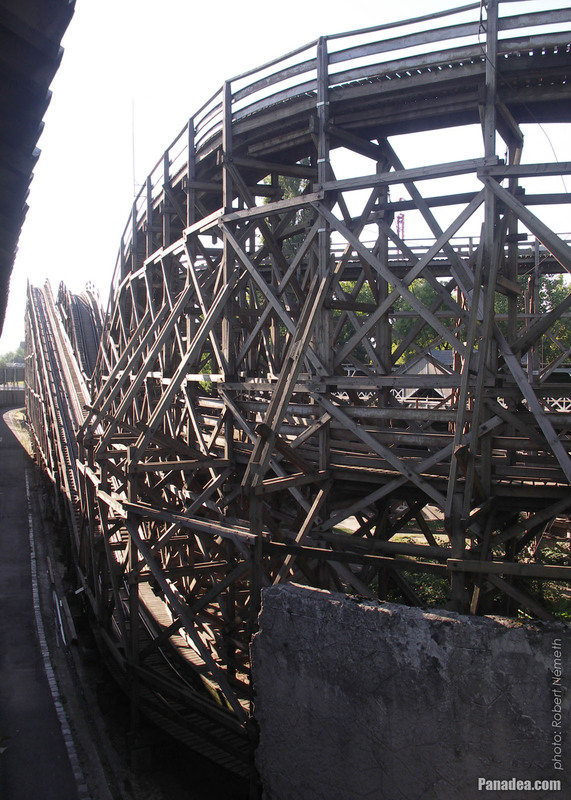 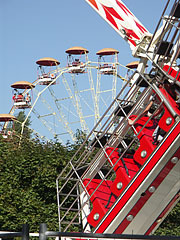 The attraction was made by the Dutch Mondial company, it is distributed under Tornado name as well. 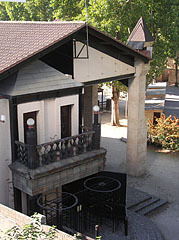 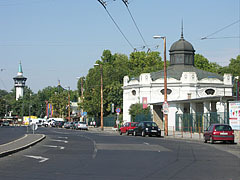 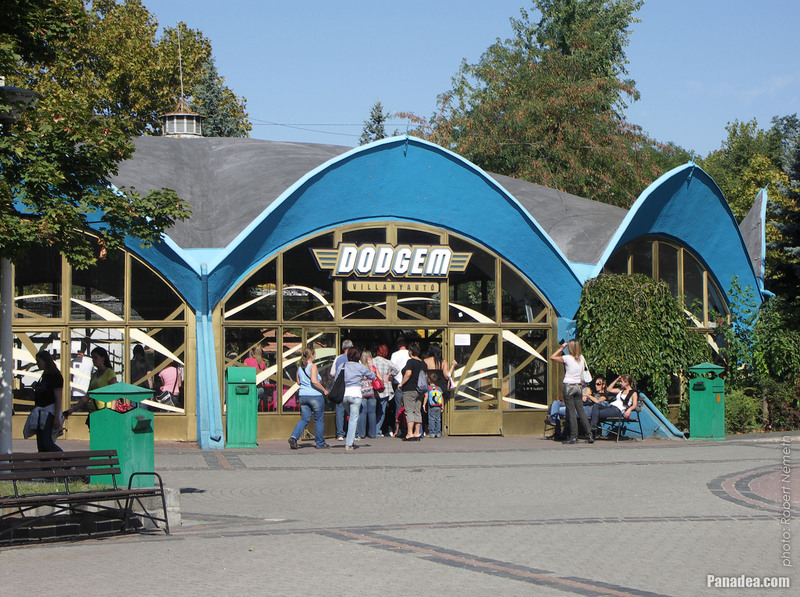 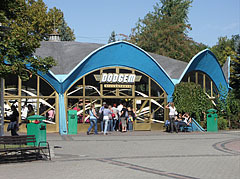 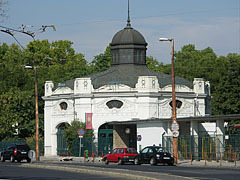 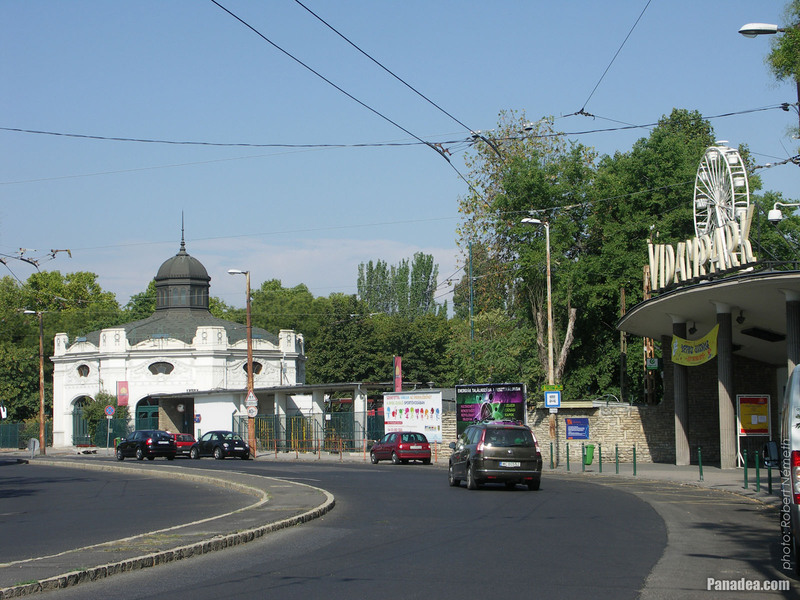 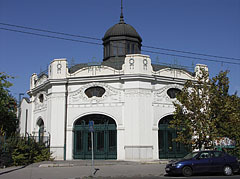 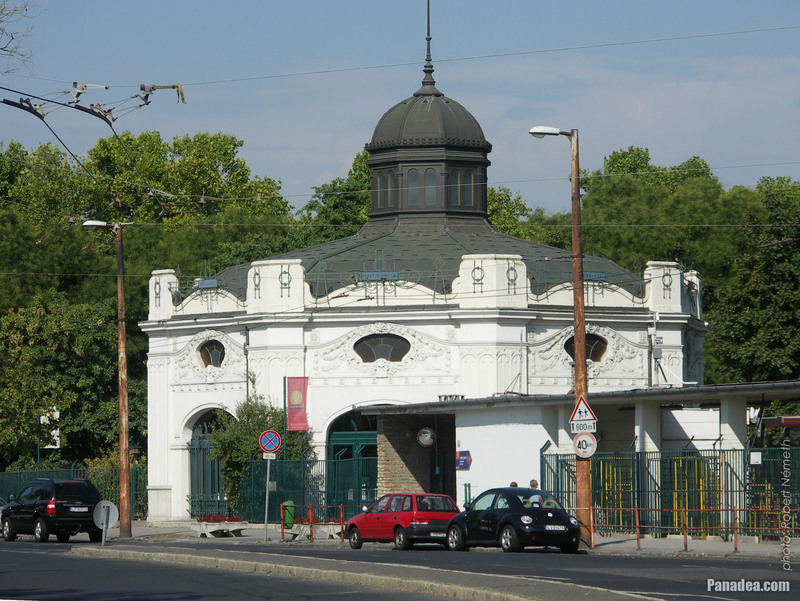 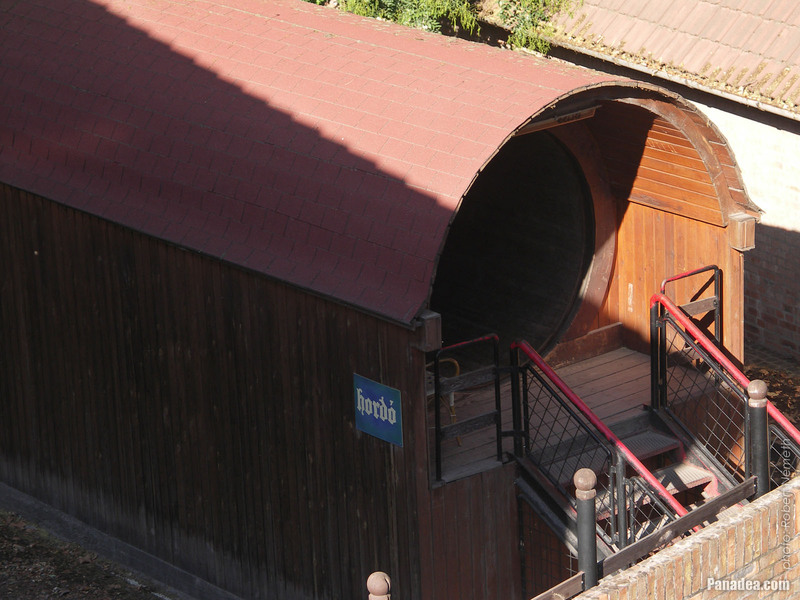 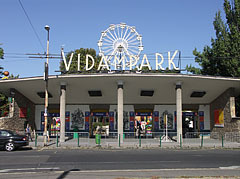 It was built in 1953, architect: Gyula Kéri. 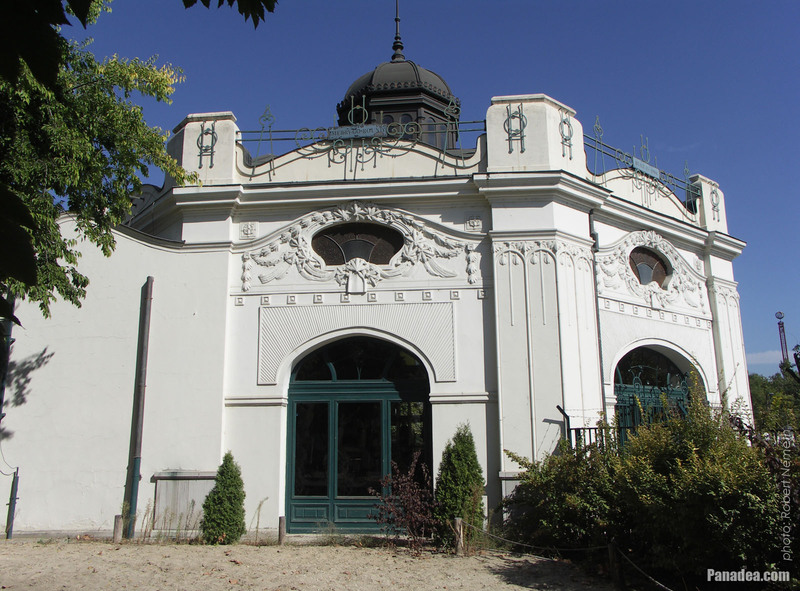 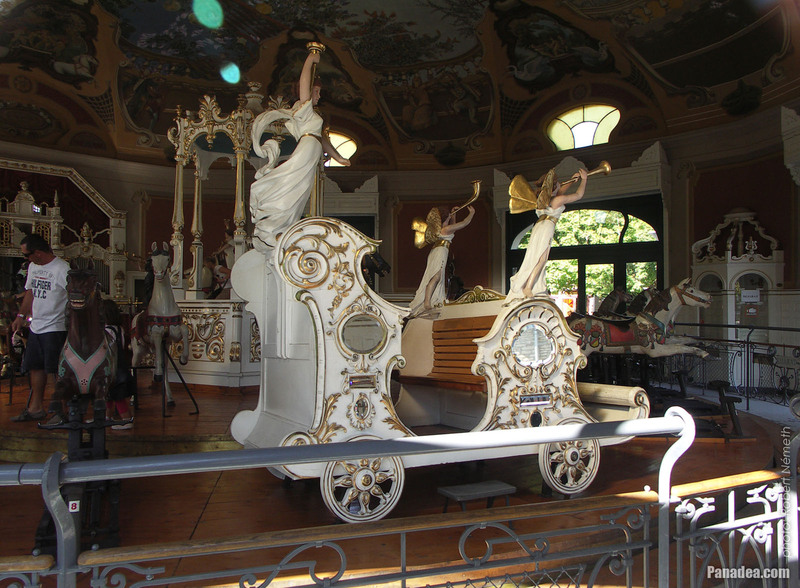 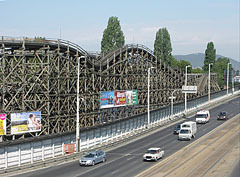 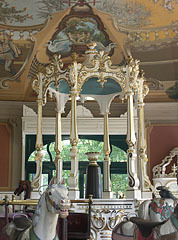 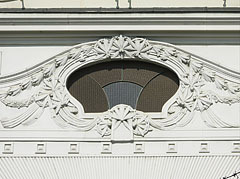 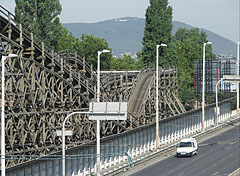 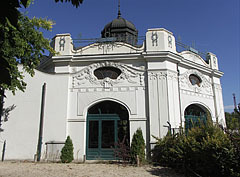 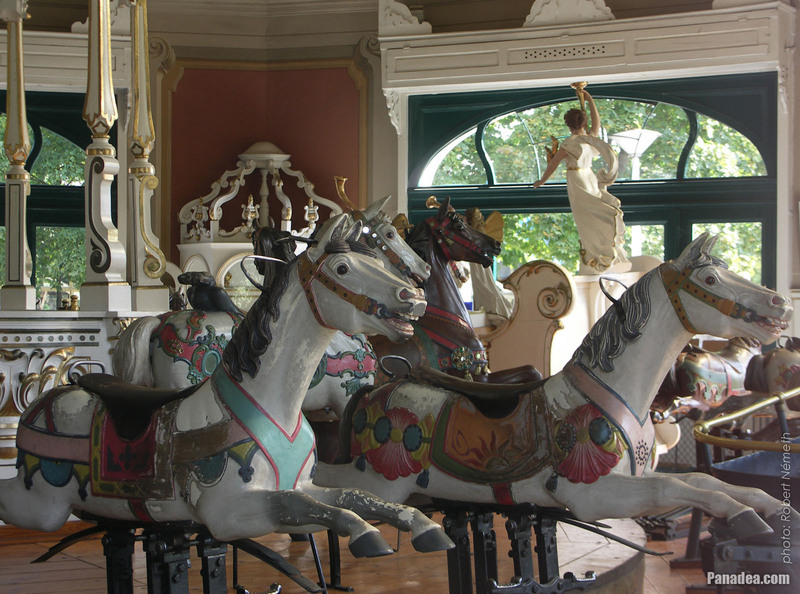 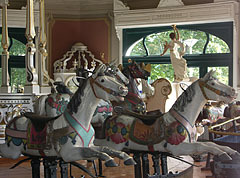 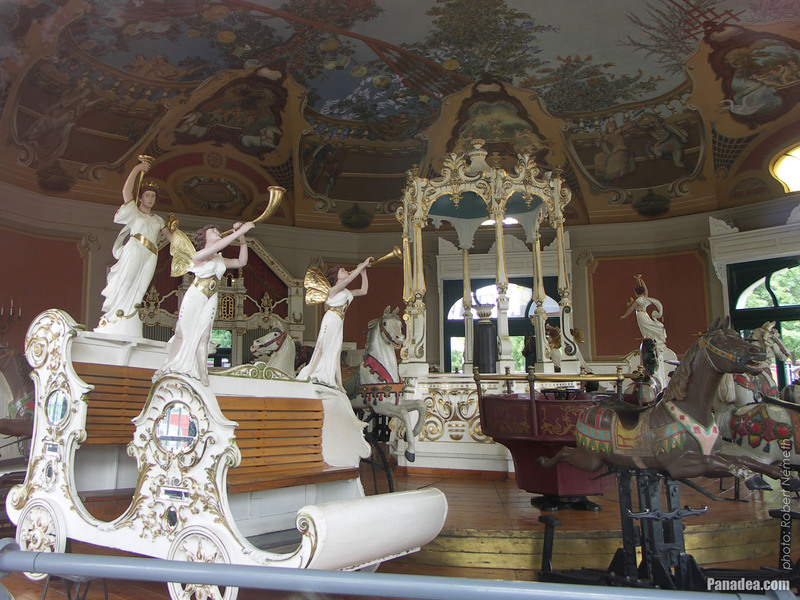 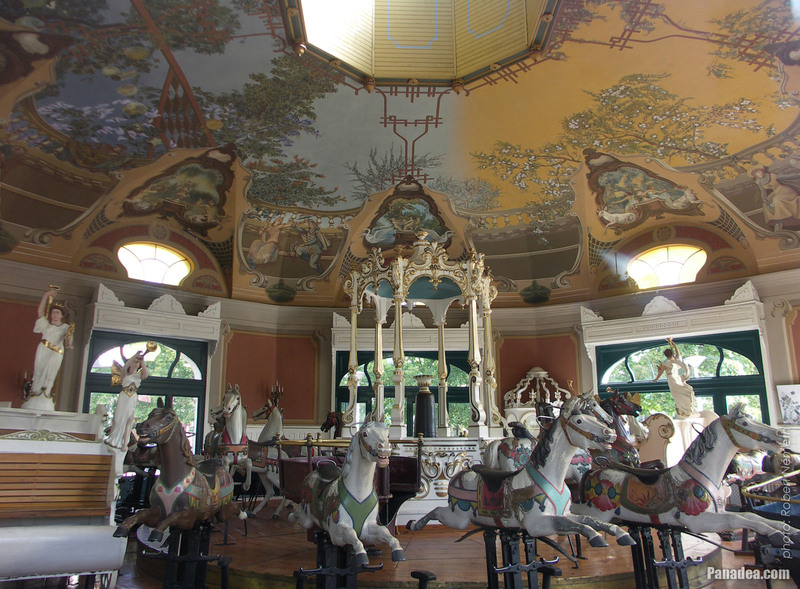 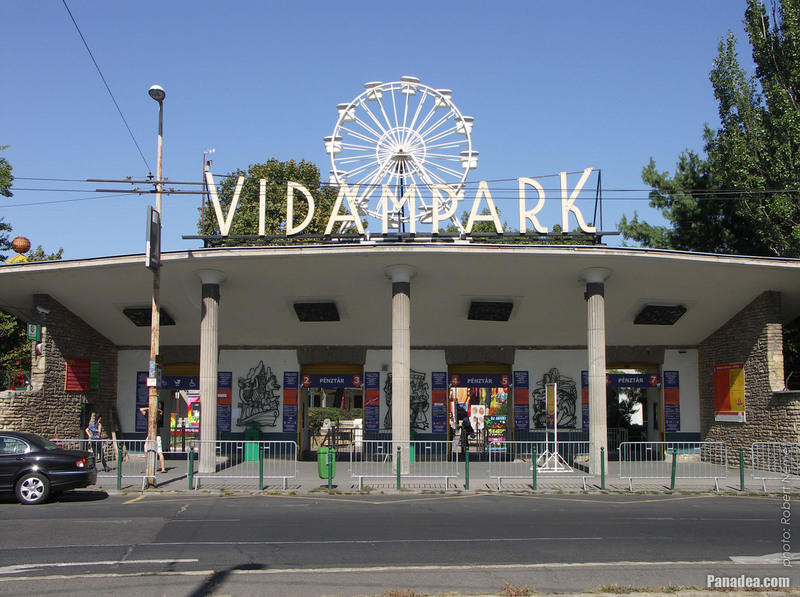 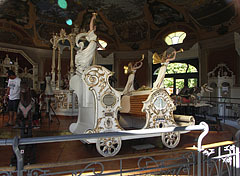 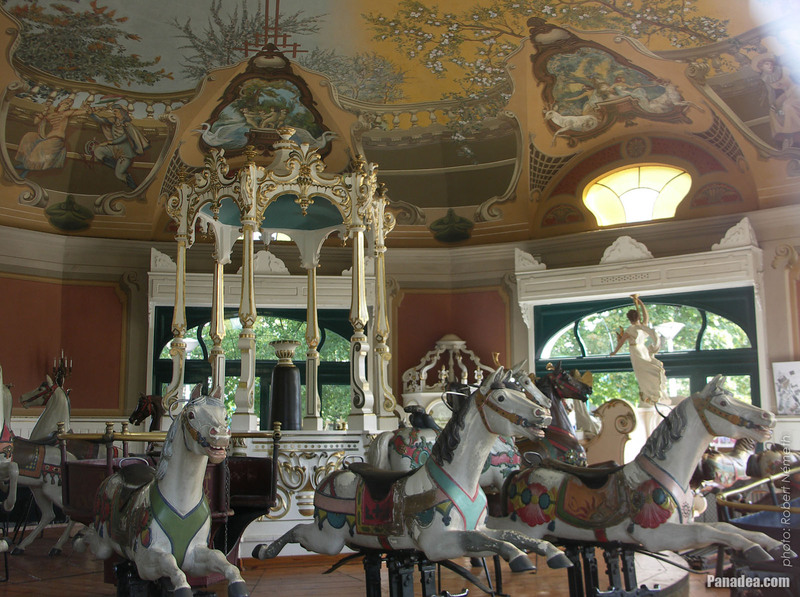 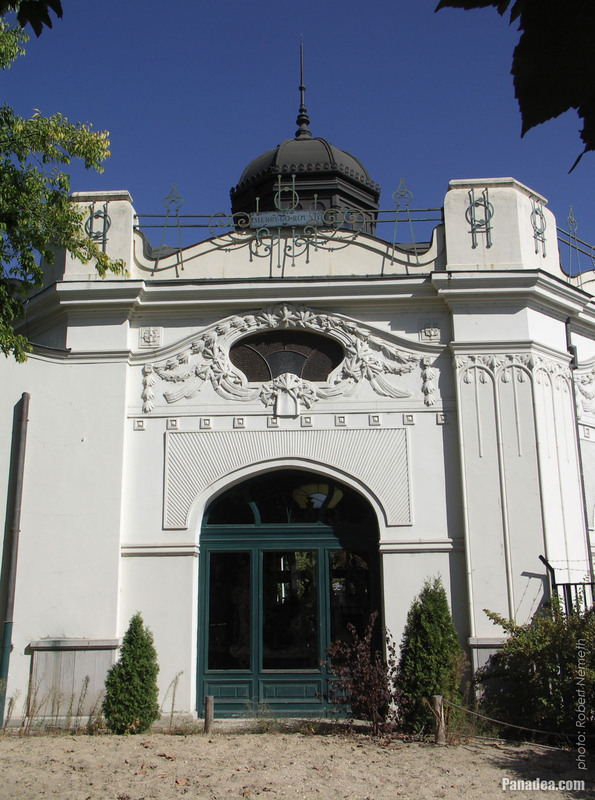 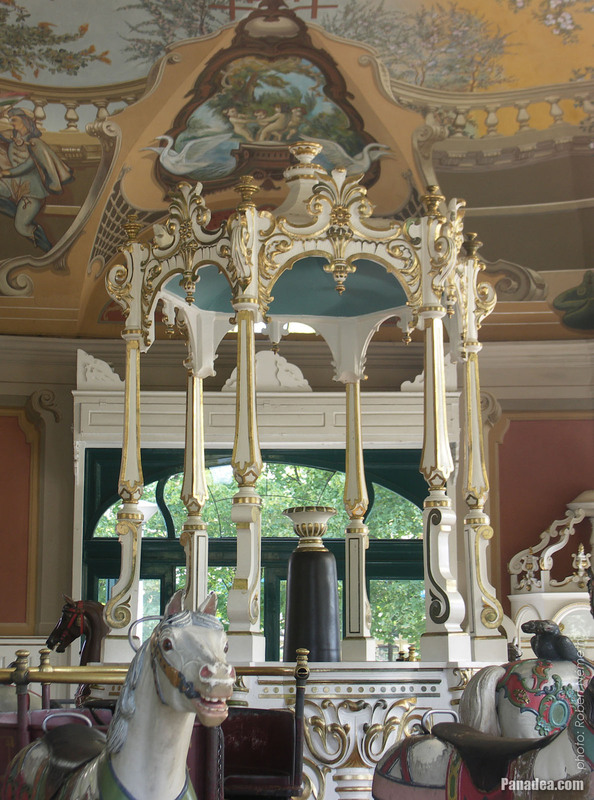 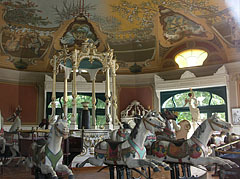 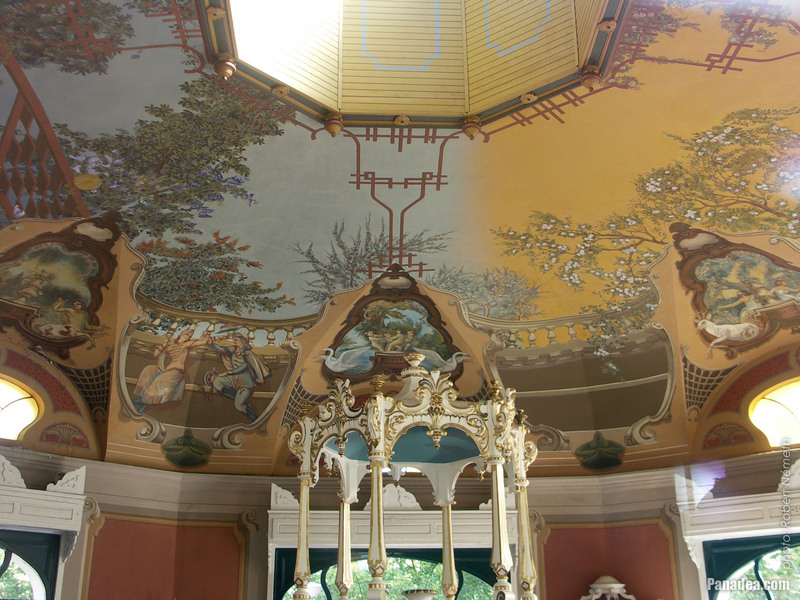 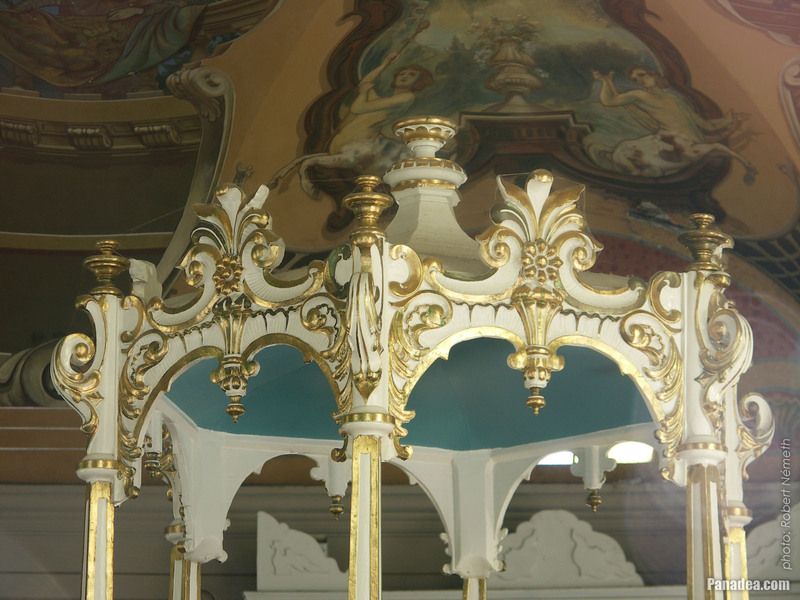 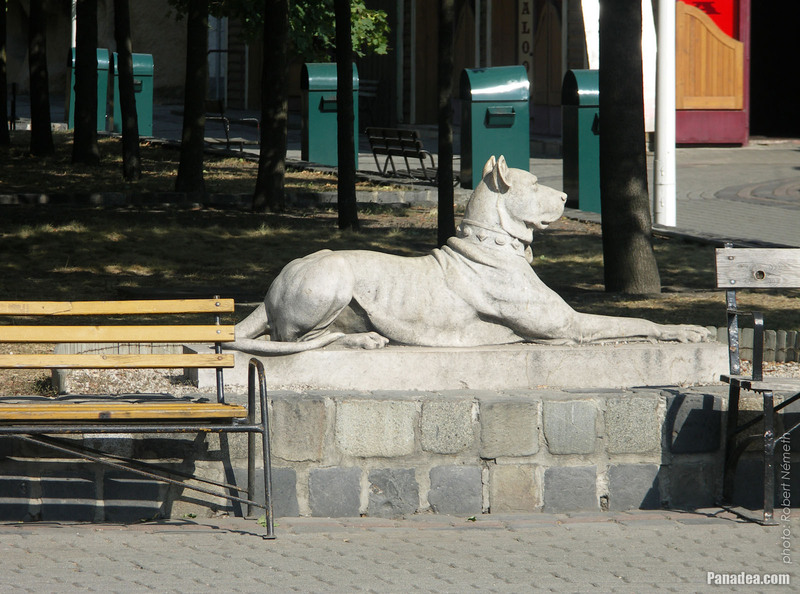 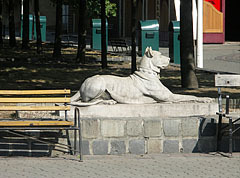 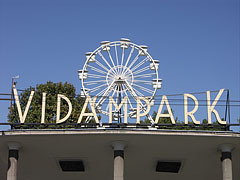 The wrought-iron decorations represent funfair scenes, these were created by Géza Buczkó painter. 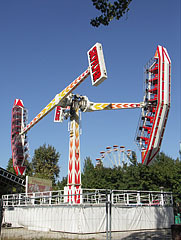 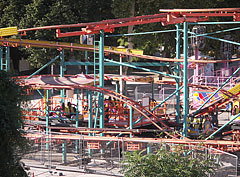 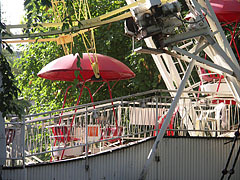 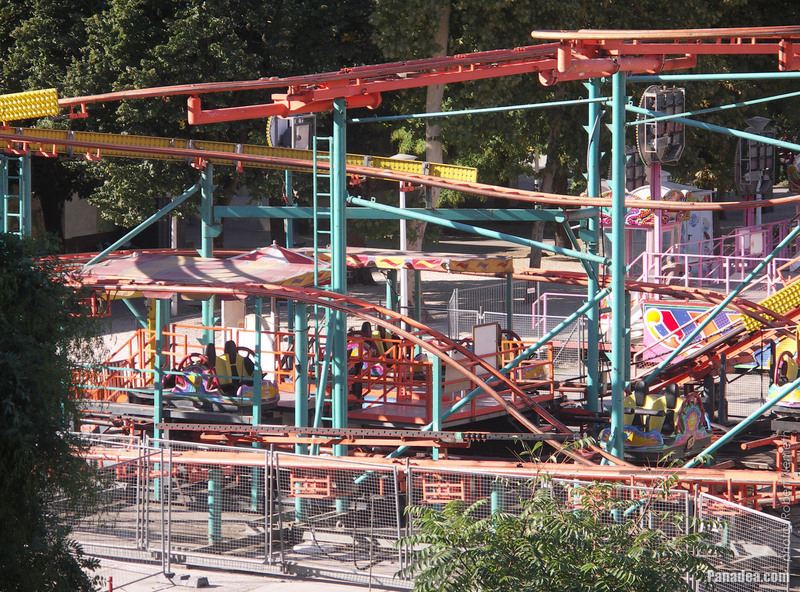 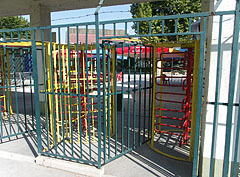 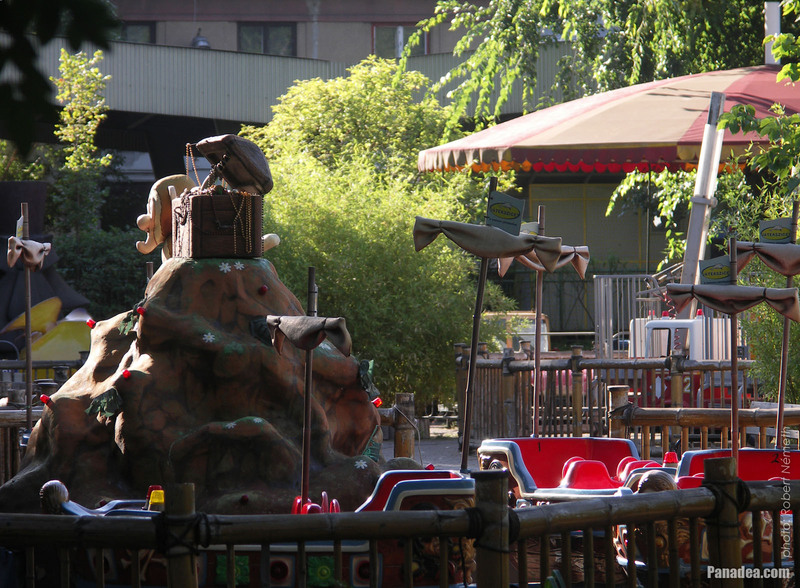 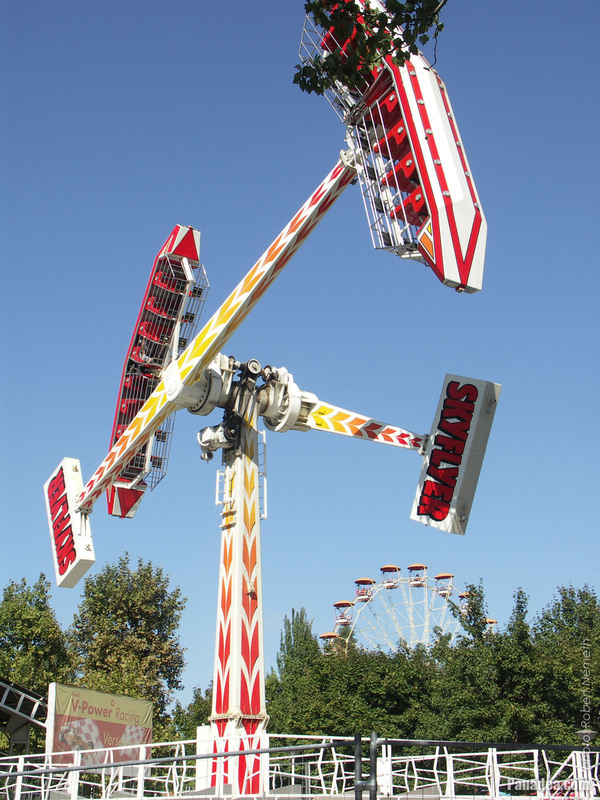 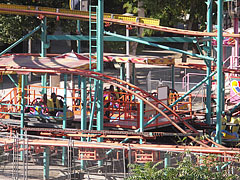 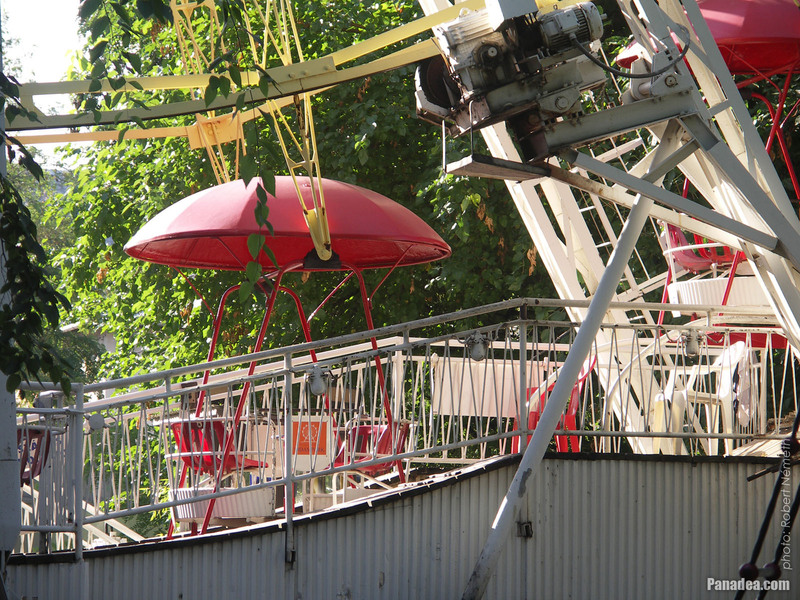 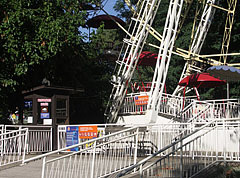 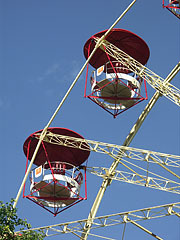 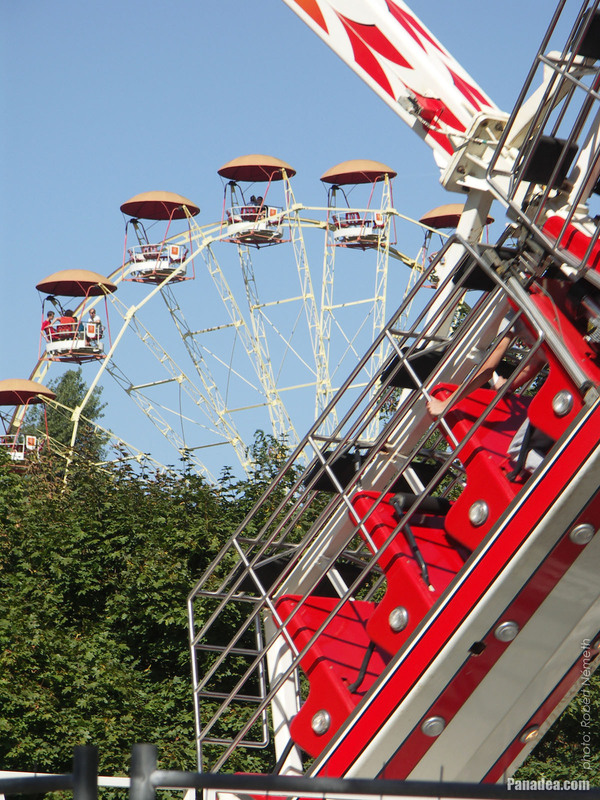 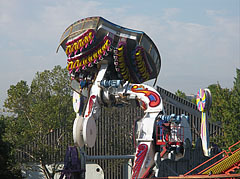 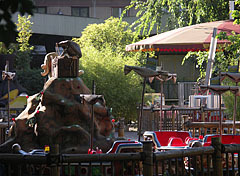 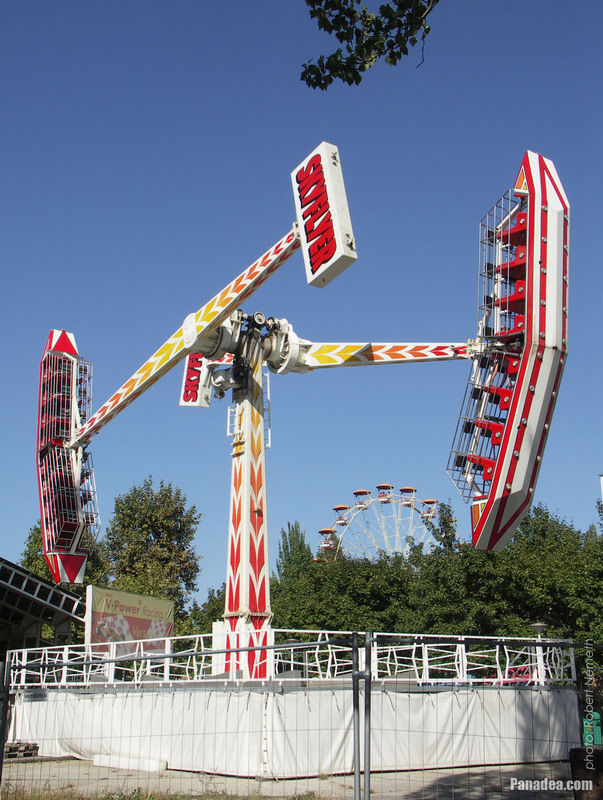 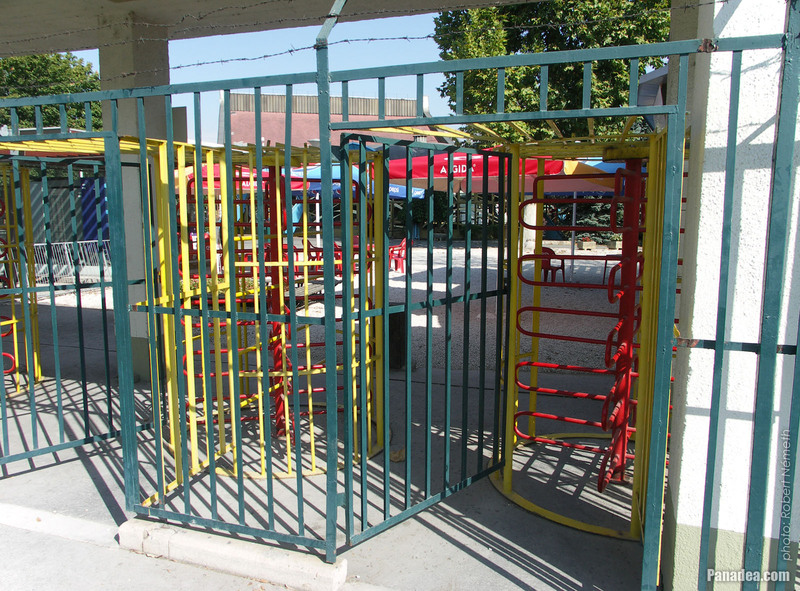 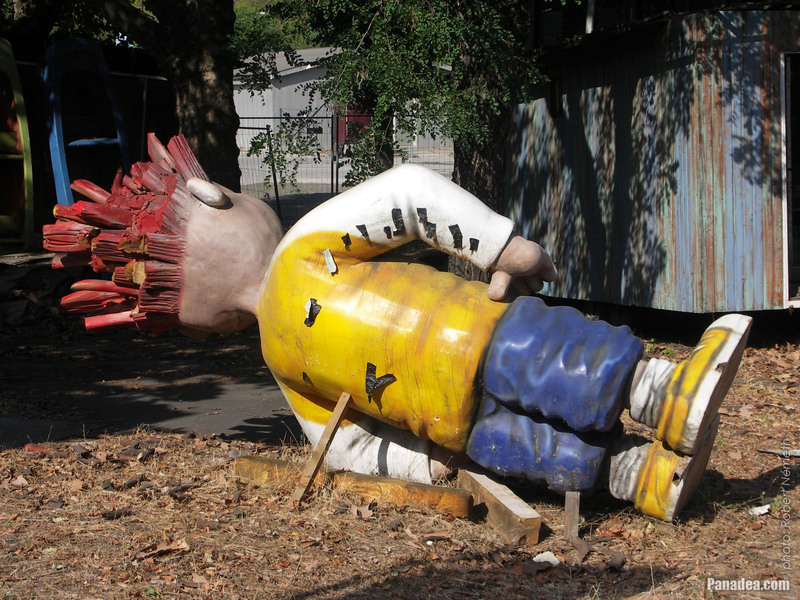 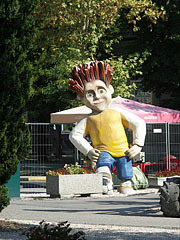 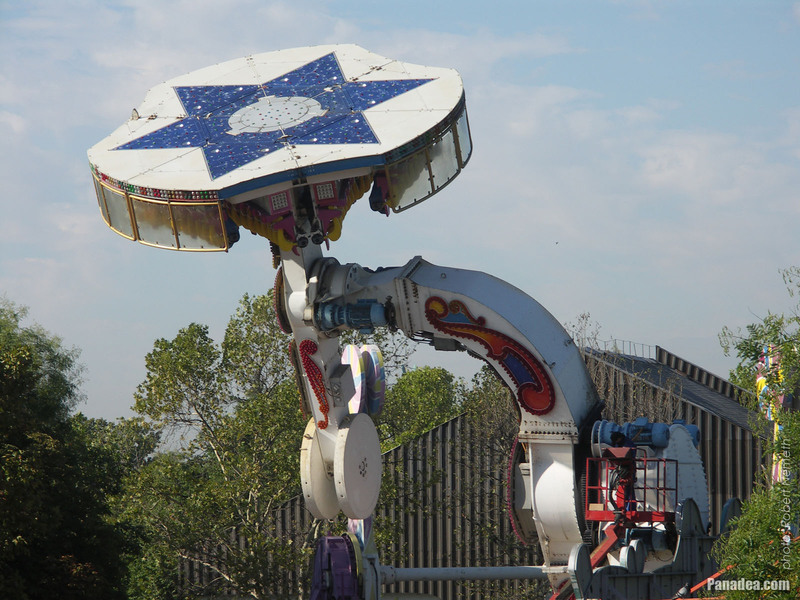 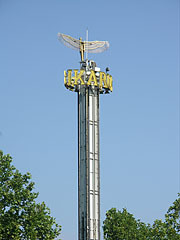 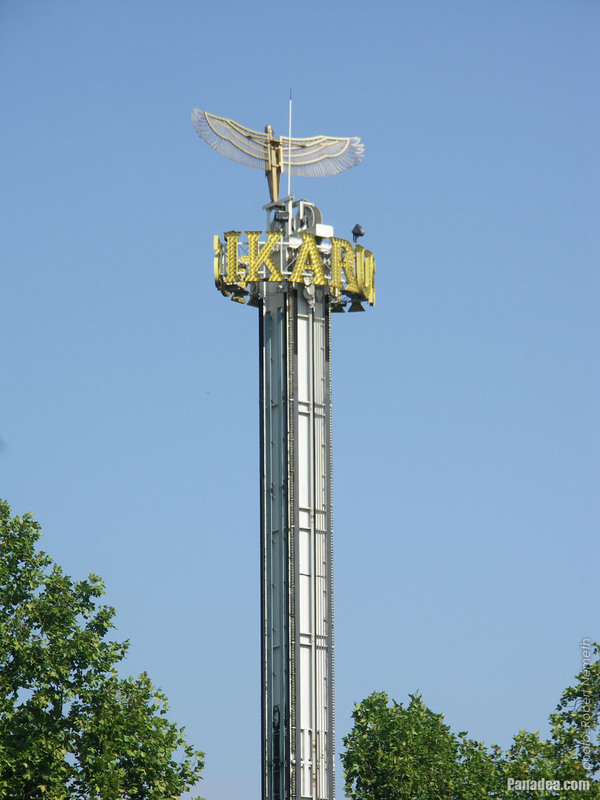 Originally it was called "Condor" and manufactured by the HUSS Park Attractions GmbH in Bremen, Germany. 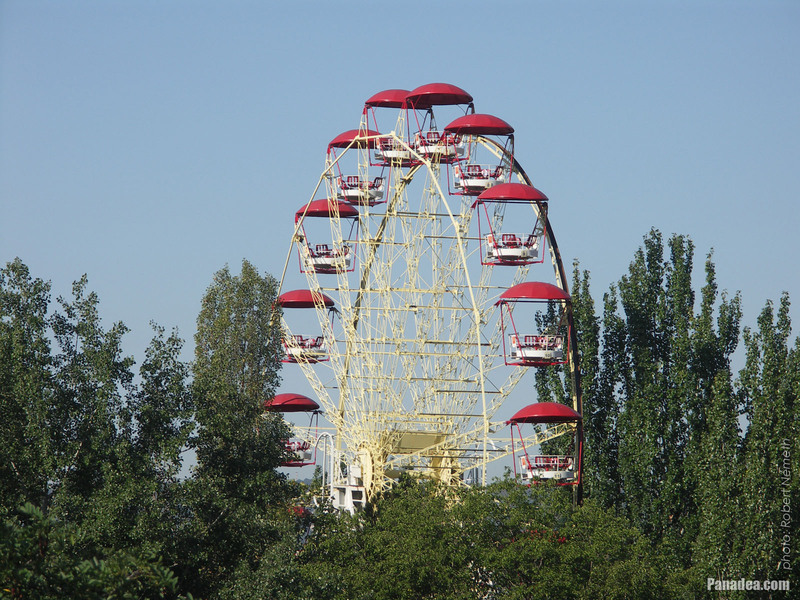 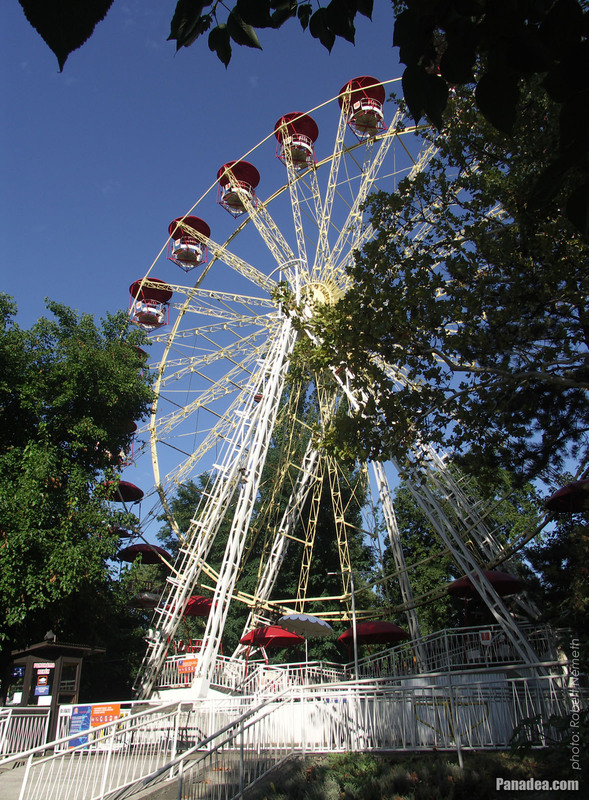 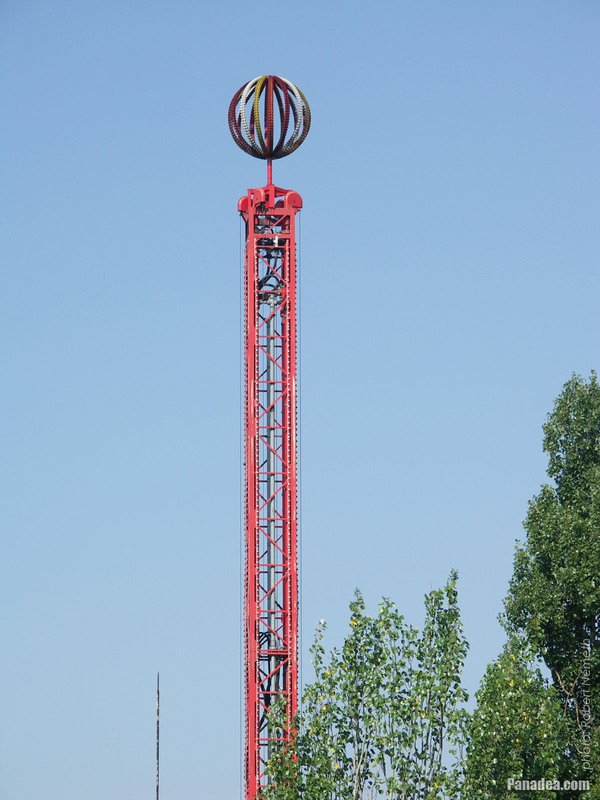 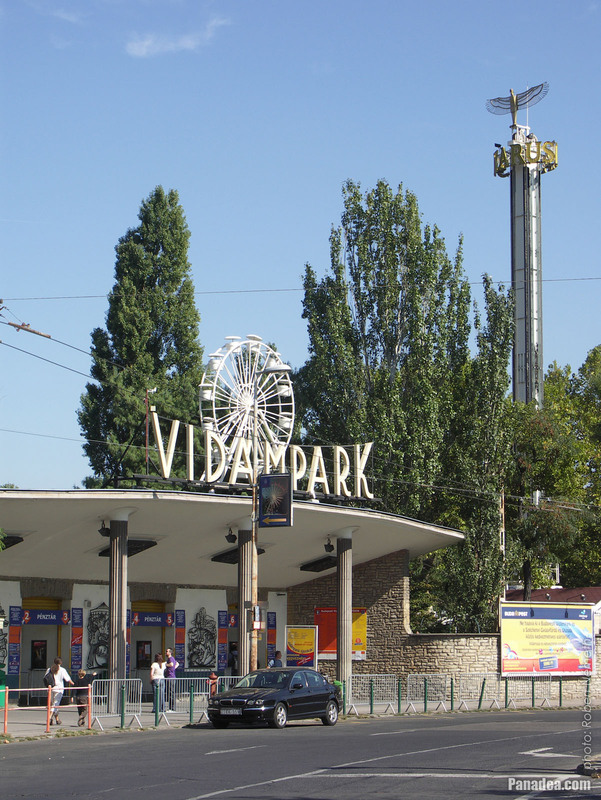 There was a 31-meter-high Soviet-made ferris wheel attraction in the Budapest Amusement Park (in Hungarian "Budapesti Vidám Park"), which was closed in autumn of 2013. 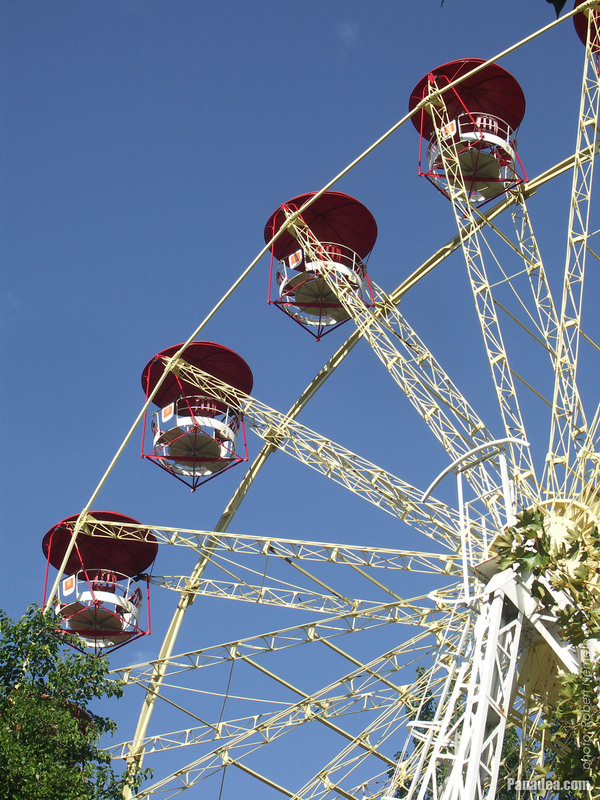 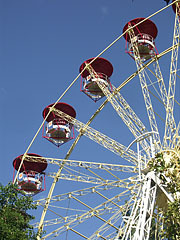 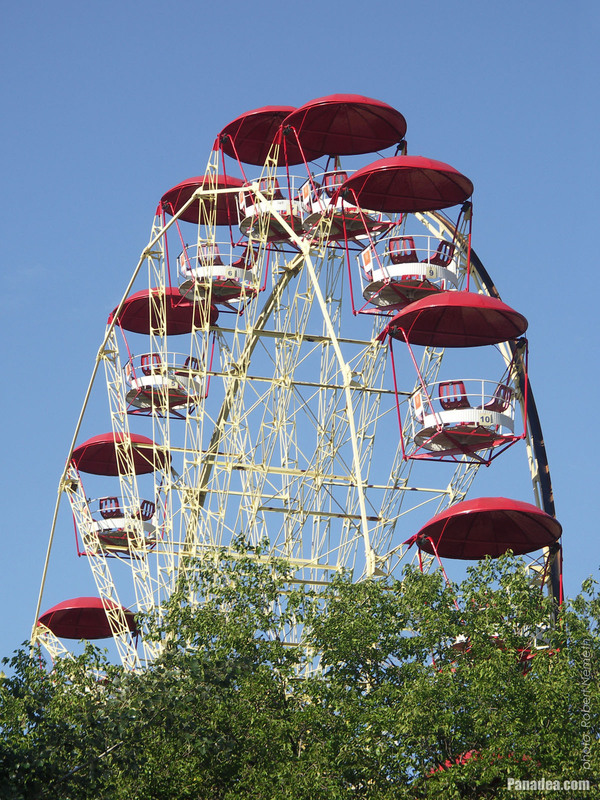 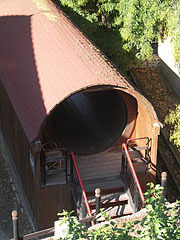 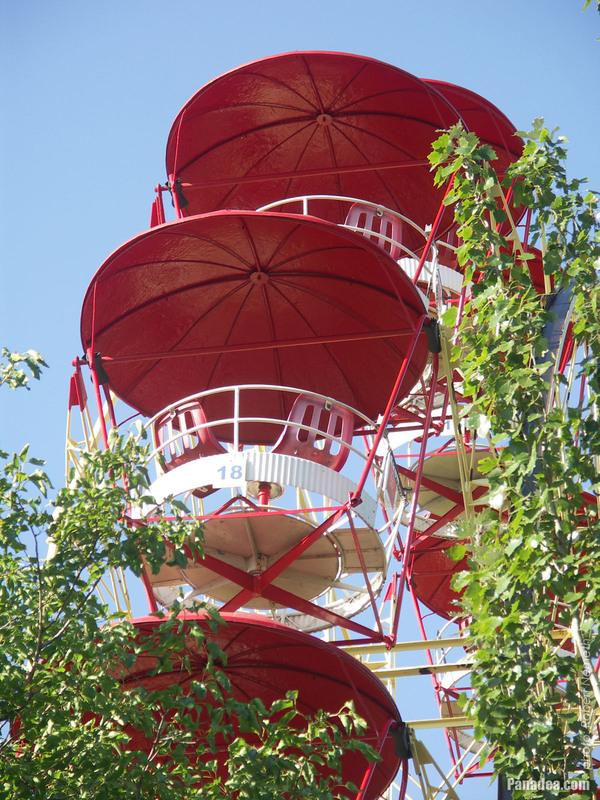 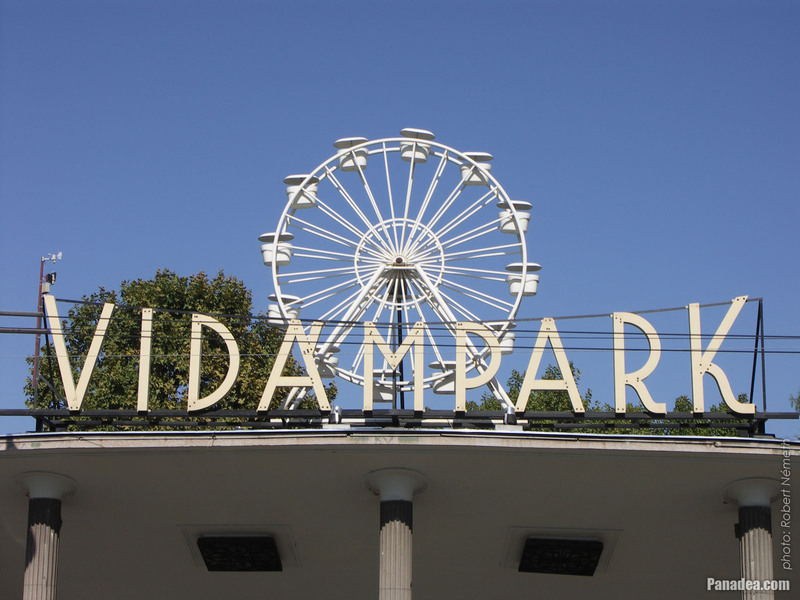 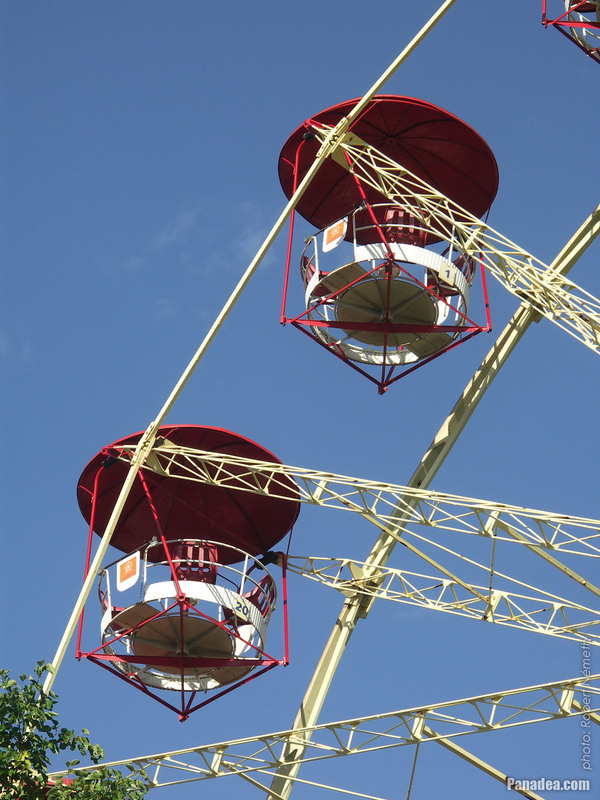 This ferris wheel was built in 1974 and it was called in Hungarian "Panorámakerék" or "Óriáskerék" (literally "Panorama Wheel" or "Giant Wheel"). 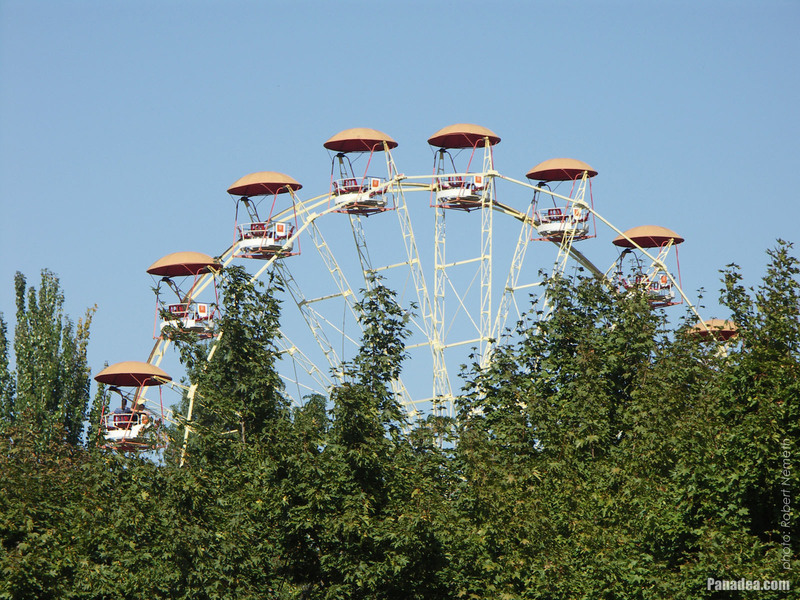 It was almost identical with the ferris wheel of Pripyat city in Ukrain, which is close to Chernobyl (or Chornobyl) city and abandoned in 1986 due to a nuclear disaster. 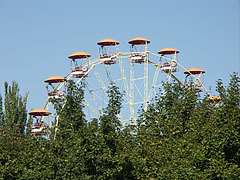 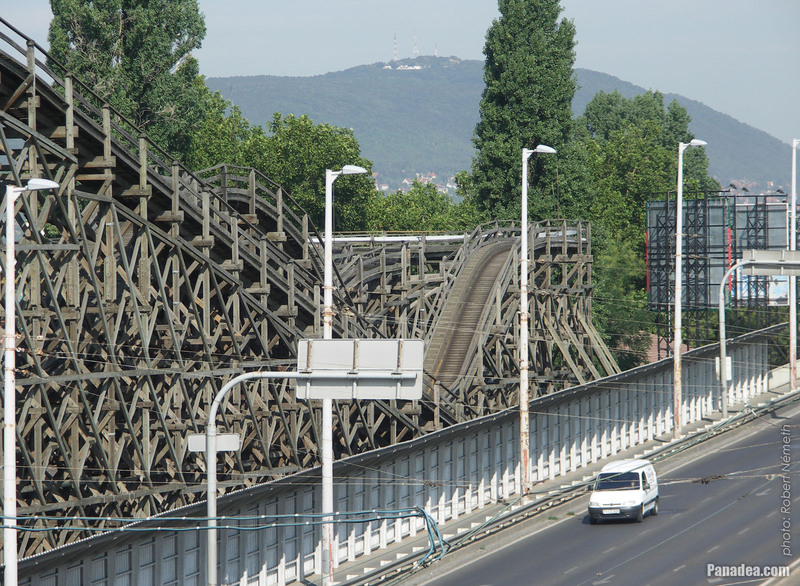 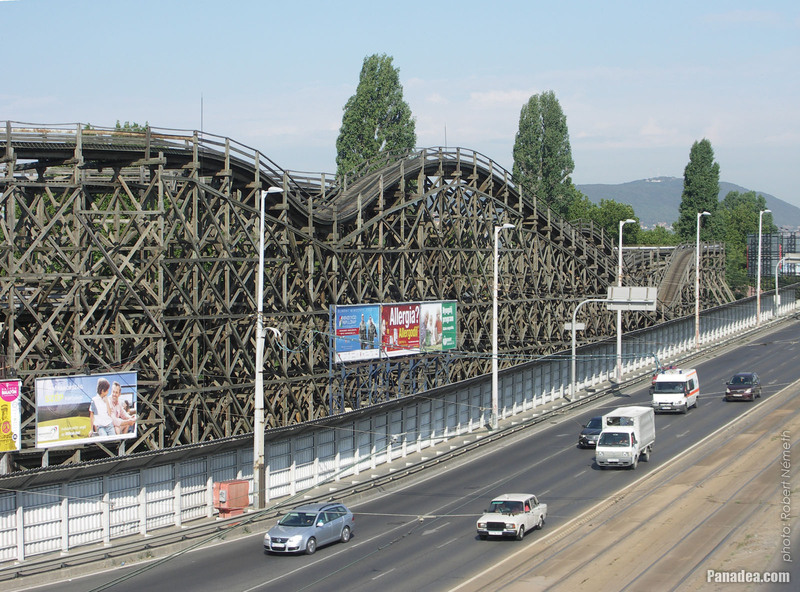 While the ferris wheel of the Budapest Amusement Park was disassembled and sold for scrap metal when the theme park was closed (despite it worked flawlessly), the other wheel in the deserted Ukrainian city is still standing, and will stand in the future until the the rust consumes it completely.